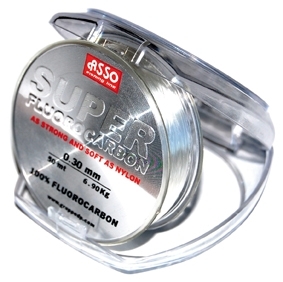 Asso Superfluorocarbon is as tough and soft than a nylon thread, but with the advantages of a 100% Fluorocarbon line, thanks to the new PVDF copolymer and to a unique extrusion process. Its high softness makes it suitable not only for sea fishing, but also for inland fishing. It lends itself to many techniques such as surfcasting, match fishing, carp fishing and fly fishing.